The AEI StartUP Factory’s multi-purpose room can be used for your next large presentation, small trade shows, meeting space, presentation space, and/or small banquets. The AEI StartUP Factory event rental team can assist you with your next special event. 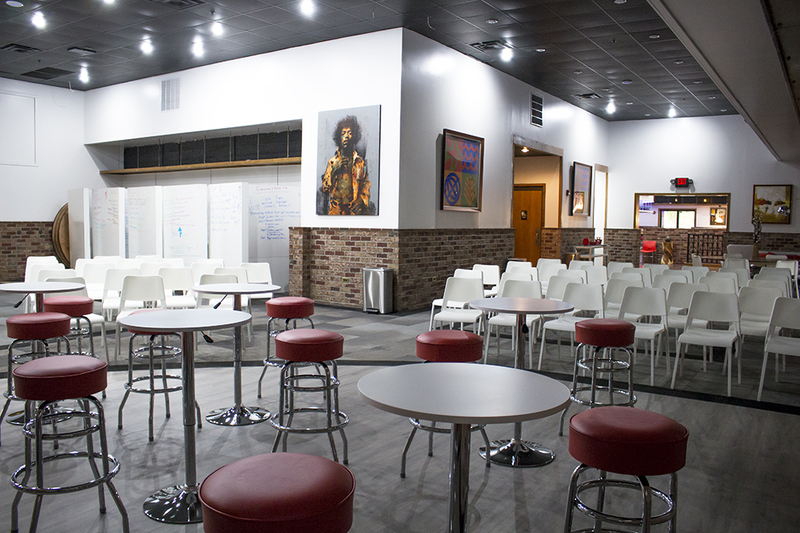 The AEI StartUP Factory Multi-Purpose room features the latest in audio-visual advancements including a state of the art surround sound system, two 75-inch touch screen monitors, and a large 90-inch monitor. The AEI StartUP Factory’s event rental team works with our preferred catering team to provide you with the right catering options for your next event. The SUF Event Rental team will provide you with a variety of menu options from our world renowned catering partners. All events at the AEI StartUP Factory are managed by our preferred catering partners, we DO NOT ALLOW FOOD TO be brought into the AEI StartUP Factory.